Alice is a cute blouse that is suitable for work and leisure. 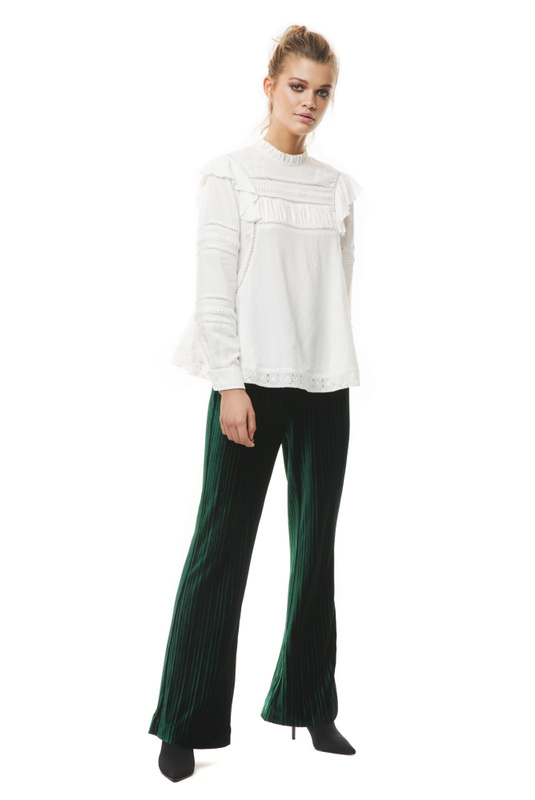 Alice has a high neck, ruffle details with lace inserts. 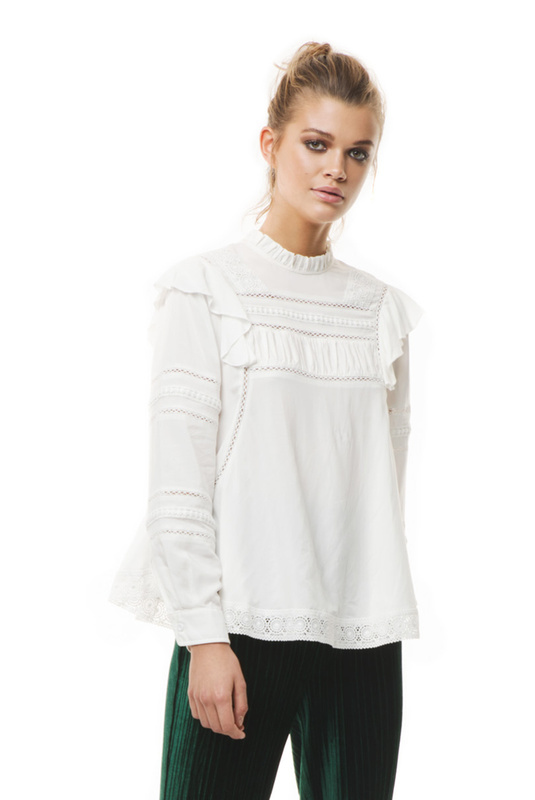 The blouse has ruffle details, for the frill of it! The cuffs are fixed, and it has a relaxed fit.